Cobble pods replacements are designed for use only with the Aspire Cobble vape device. Each pod holds 1.8 ml e-liquid and contains a non-replaceable 1.4 Ohm nichrome coil that provides great flavour for such a compact kit. The Cobble pod is a TPD compliant, bottom fill, 1.8 ml capacity, and comes with a built in, non replaceable 1.4 Ohm Ni-chrome coil, designed for use with e-liquids and nic-salts. 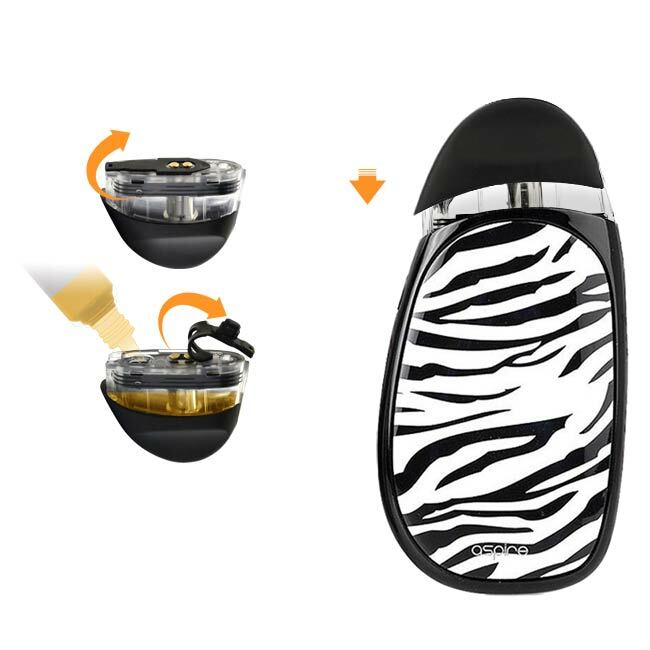 To refill your Aspire Cobble Pod simply push up from the e-liquid viewing window to release and remove the pod system. Invert the pod and lift the silicon seal, place the filling bottle/dropper into the pod filling hole squeeze the filling bottle/dropper bulb to add your preferred e-liquid into the pod system. Replace the silicone seal firmly and re-insert the pod into the power unit, pushing down until it clicks into place. If this is your first time filling the Aspire pod, make sure to leave it to stand for 3-5 minutes after filling so the e-liquid can soak into the wick.